Since staring our Cero brand in 2011 we have been on quite a journey both metaphorically and physically, we started out with the goal to offer products that we believed in and stood behind that were the best they could be and to offer an alternative to the big brands at an affordable price which had a British designed and tested philosophy. 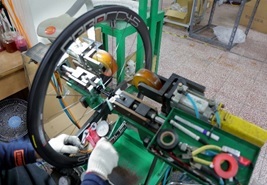 We decided early on to invest time and money to be on the ground periodically at every step of our wheel production from carbon rim layup through moulding to hub production and wheel assembly, this has increased as the brand and product range has grown. As with a huge percentage of bicycle products we started our journey out in Taiwan and China with considerable experience of dealing direct with manufacturers from the moto side of the business see (blog 1). This gave us a good grounding in how the business culture operates in what is a very different way to here in the west, that’s pretty much where the experience stopped being a big help and the learning and education began specific to the bicycle industry and component and wheel manufacture. On a personal level I never tire of learning and educating myself on the process of manufacturing and material science, I am far from being anywhere near an expert on the above topics but have a sound grasp of the theory and practice having spent considerable time in factories in Asia observing, probing and asking the how, what and why of each step of production. 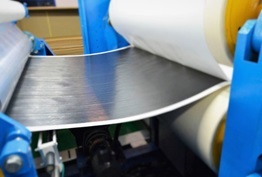 By being on the ground and interacting with the factories and workers you really build a sense over time of good and bad practice, and the impact this can have on the product you bring to market. 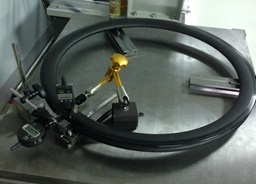 We have transitioned over the last few years through a few manufacturing partners specifically on the carbon rim front as we have experienced some of the inherent issues of using this material in carbon clinchers particularly surrounding rim brake track heat tolerance and braking performance. Due to these issues we have spent a considerable amount of time searching out some of the most renowned and respected CF manufactures in Taiwan. Our all new 2016 RC45 rims benefit from this attention to detail across the board and feature the highest quality and finished product with the best braking performance we have experienced thus far. This doesn’t come cheap and is more expensive than pretty much all the other produces in Taiwan and China, we feel it is worth it though and sits in line with our philosophy to bring you the best value and performance from our products. We fully accept we are not able to spend the R+D money that the likes of Zipp, Enve and Reynolds do, we would love to be in a position to develop our own proprietary product tolling and manufacturing technologies, and spend hours in the wind tunnel validating the performance of our wheels, but like anything in life there is compromise needed, so we work with the best partners we can who are flexible and are keen to work with us to develop and innovate where possible. The product we deliver strikes a balance of performance, weight and price point. We are committed to developing our brand and product range in line with our key philosophies, this will no doubt change a little as we grow and develop but always by striving to produce better products.